Pat's Scraps: It's a Girl Thing! I made this birthday card for a girlfriend at work. Isn't it adorable? I love how the shoes turned out! Background paper is from DCWV Shimmer Stack so it's shiny and thick. I embossed it with Cuttlebug Victoria folder. Ribbon from Michael's $1 bin - I love that ribbon!! Shoes cut from Forever Young cart at 2" and blinged. Gotta love the shoes, huh?! I'm going to also post this at Decorate to Celebrate. Their current challenge calls for an adult themed decoration. Check out their site. I think this card is perfect for adult women everywhere! I know this card is not eligible for a prize, (and I don't want to be included in any drawings) but I just wanted to share the adult theme with you! BUT, could you picture a banner made of shoes for a "Girls Night In" party?! (food for thought) TFL! thanks for sharing with us at decorate to celebrate love your card. really cute. As a certified shoe-fanatic, I LOVE this card so much, Pat! I totally subscribe to the "If the shoe fits, buy one in every color" theory! Just gorgeous! Thanks so much for sharing it at Decorate to Celebrate! Fabulous card! Love the shoes and sentiment! Great embossing! I agree that a banner made with shoes would be great-maybe for some Red Hat Ladies! Now you have me thinking! I am a follower- would love for you to visit my blog! Love it ! It's fabulous!! Hi Pat, thank you for stopping by:) I've missed so many beautiful projects!! Love this card with all those stylish shoes! ooooo that appeals so much to my girly nature. I love it! I am sending Miss Pink Cricut to have a look too. Such a great job! This is card is sooo cute!! I love, love what you did with the shoes! Very creative!! Thanks for joining us at Decorate to Celebrate!! Your card is so cute! Doesn't DCWV make the neatest paper? Thanks for your kind comment on my blog. I really appreciate it. Love this card! You did a great job, from the embossing to the various shoe designs, perfect! I'm sure your co-worker just loved it! Gorgeous card and love all the shoe styles!!! Stopped over from DTC! Happy to be a new follower! Great card! I love the embossing and the way you used the punch on the inside and the outside. And of course, I love the sentiment! OK "Miss" Pat I'm gonna have to hunt you down. You won the cart I wanted from Joy at Obsessed w/ Scrapbooking. Congratulations! Isn't that sentiment the truth. Very pretty card. Cutest shoes ever...love your card! LOVE the card! I might need to get those stamps for myself! Thanks for joining us at Decorate To Celebrate! Thanks so much for decorating your celebrations at the Decorate To Celebrate! Challenge Blog! Fantastic Pat!! I love the colors, the embossing and those shoes.....would love to find them in a store! Love it!! ohhh perfect for a grown up! would love to see you make the shoe banner!! would go so great with your card! This card is awesome. I love the shoes and color used! I can definitely relate! So cute! Thanks for leaving a comment. I appreciate your visit and hope you come back again real soon. I’ve always liked to make things. I used to sew, draw, and paint, and make items to decorate my home. Now I love to make cards using my Cricut Expression. 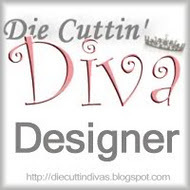 Discovering blogger world has given me an outlet to share my creations, and to meet so many new friends! Thanks for visiting. Hope you'll consider following my blog. If you like what you see, please follow along, and let me know so I can follow your blog, too! DCD Challenge 416 | Use any Animal. Action Wobble: Easter Challenge Bunny!